Image: Peathegee Inc./Getty Images, nicolay/Getty Images. Design: Ashley Britton/SheKnows. Former Destiny’s Child singer Michelle Williams recently took to Instagram to disclose that she was seeking inpatient help for depression and suicidal thoughts. On social media, women of color both praised her bravery and wished her well in her continued mental health journey while wondering what the world would be like if everyone who wanted or needed mental health services could get them. 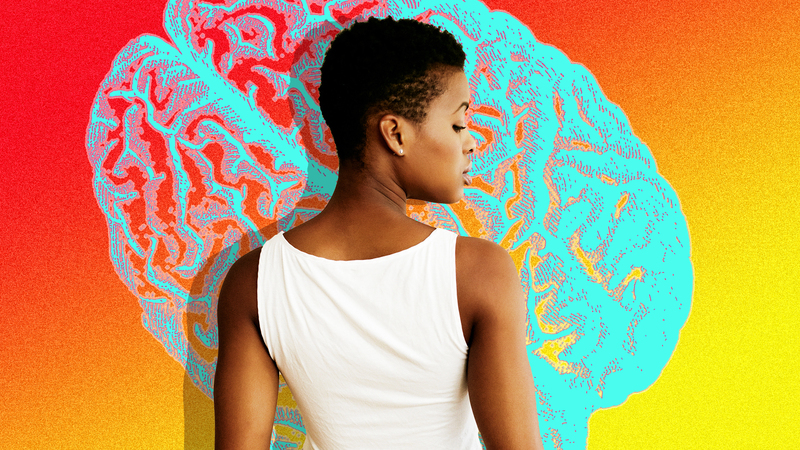 In a society that now has mental health on the tip of its tongue more than ever, women of color are having a parallel but nuanced conversation about access, social and cultural stigmas and other roadblocks that keep making mental health services a difficult terrain to navigate. According to a report by the Centers for Disease Control, Native Americans have the highest suicide rates compared to other populations in the United States. Additionally, only 8.6 percent of Asian-American adults are reported to have sought professional help with mental health challenges according to the American Psychological Association. Similarly, the American Foundation for Suicide Prevention indicates that only 20 percent of Latino individuals with symptoms of a psychological disorder talk to a doctor about their concerns, and only 10 percent contact a mental health specialist. Furthermore, Black people are 20 percent more likely than the general population to live with mental health conditions like major depression, post-traumatic stress disorder and attention deficit hyperactivity disorder according to the National Alliance on Mental Illness. These are just a few of the staggering statistics about people of color and mental health treatment. As difficult as it can be to even address mental health issues, wanting to seek treatment isn't enough. For many, accessing the help they need is beyond their reach. The National Alliance on Mental Illness provides more insight into some of the roadblocks that stand between Black people and getting the mental health care they need, including our faith, spirituality and community factors, reluctance and inability to access mental health services and provider bias and inequality of care. Ashley Zachary, a self-employed, Black woman in her late 20s, has lived through most of these barriers to mental health access. She has had difficulty finding mental health care as an uninsured person, which has been exacerbated by the anxiety of knowing that most providers require payment out of pocket. Additionally, Zachary tells SheKnows that her preference of finding a Black woman therapist has made her search even harder. Although the internet and other resources make it easier now than it was in years past, she says that finding a provider is still not easy. “Even if I can’t go [to see a Black female therapist], seeing that Black women mental health professionals exist, are out there doing the Lord’s work, makes me feel better,” Zachary says. From a provider perspective, Samantha*, a therapist with a quickly growing practice in an large metropolitan area, explains how important it is for her to be a resource for other women of color. She says she will, of course, treat anyone. She knows firsthand the difficulties — cultural and otherwise — that keep women of color off therapist's couches and out of treatment. “When a woman of color comes and sees that commonality, she’s more likely to tell her friends that ‘I have a therapist who looks like me and shares my life experiences,’” she says. For some, part of those life experiences can include the role that religion and community play in seeking mental health care. “Nobody talked about it in my family,” Zachary says, pointing out that she had to learn and navigate other family members’ own struggles with mental illness in addition to her own. Women of color are seeking support and help on social media and through myriad technologies that were not available even 15 years ago. Some women of color utilize Facebook groups and small in-person gatherings are places they feel they can go for support. While these methods of support are groundbreaking, helpful and fulfill a need in communities of color, it is clear there is a lot of ground to make up in getting mental health services to the people who need them. Therapy for Black Girls, a website run by Dr. Joy Harden Bradford fills in some gaps. Harden is a licensed psychologist in Georgia, and in addition to providing articles and other support through the therapy for Black girls site, she also provides a list of mental health professionals who specialize in supporting and treating Black women and girls. In these cases, women of color are taking the reins and making support, care and treatment available for each other in ways those outside that demographic are not. Perhaps this will grow into mental health support for women of color coming from other demographics, but for right now, these women are doing it for themselves.